Kind of a promotional lure. Where handed out very rarely. 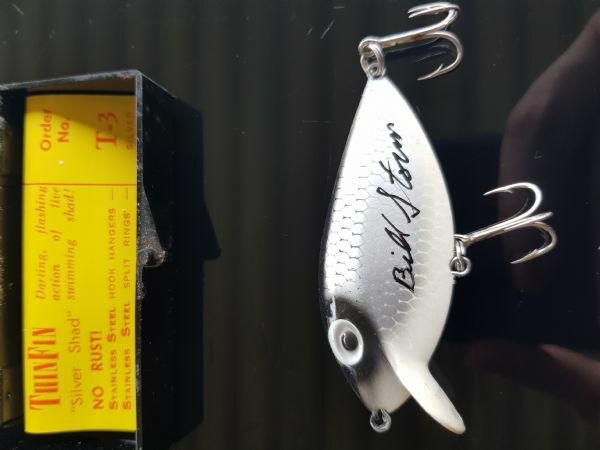 Bill storm signed thin fin. Here's mine. Always looking to get more if anyone has any FS. 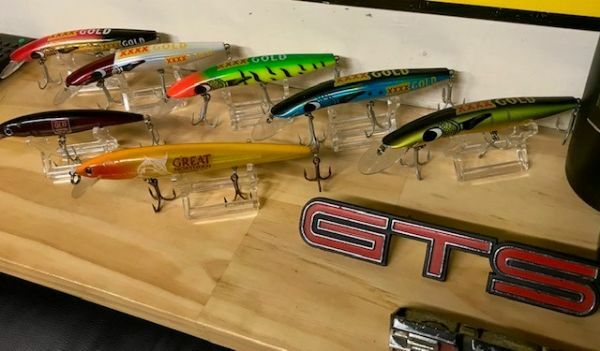 I also have a few trades for the right lure. Just a Broncos mate and I can never find one. Moggill hey. I just moved to NQ after spending the last 44 years in Bellbowrie. I'll keep my eye out for a broncos one. Suspect they'll be less popular in these parts haha. What do you have to trade Tim ? 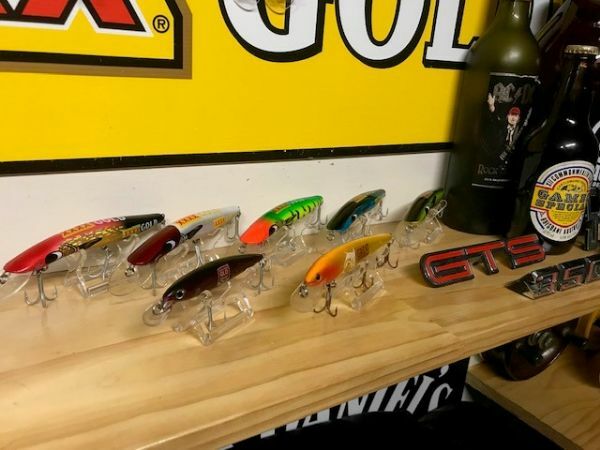 Timmo, keep one of those IRon Jack lures for me as I see you have a double and I’ll see what Engle doubles I may have. Either way I will make it worthwhile. Do you also have a spare Stones minnow as well? 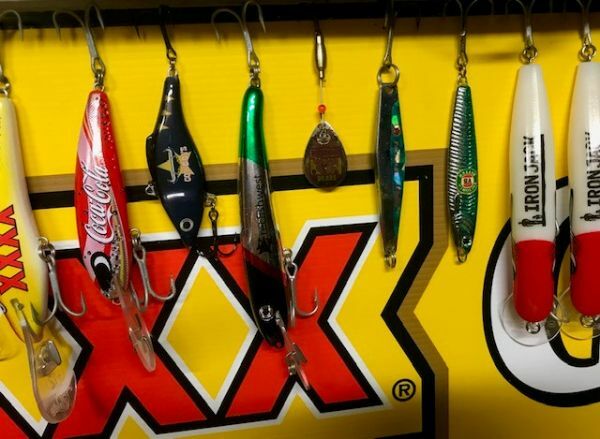 MickNQ are you chasing Promo lures or something else for a trade? Martin have a look through your Engels and let me know. And that's a negative on the Stones. Anything really mate, we're not talking high end stuff here. Tim is the Halco about 5 or 6 in from the right a fish west Lure ? Im in Bellbowrie. Just sick of people asking where it is but they know Moggill haha! Bought here 2 years ago on Ghost Gum. It's a nice quiet suburb. I'll keep an eye out for Broncos. You have QLD and NSW rapala? The only double I could find is this used one. All four lures for one of those Iron Jacks? 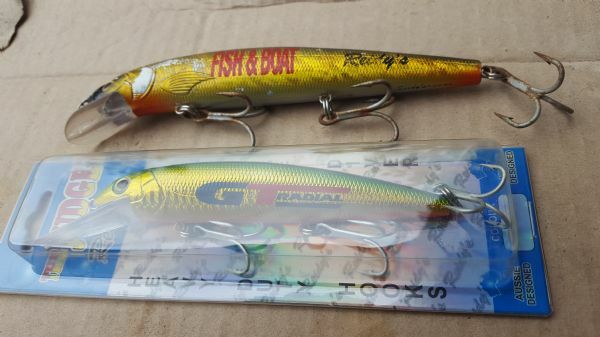 The Reidy's is a B52 CRC 2011 lure. 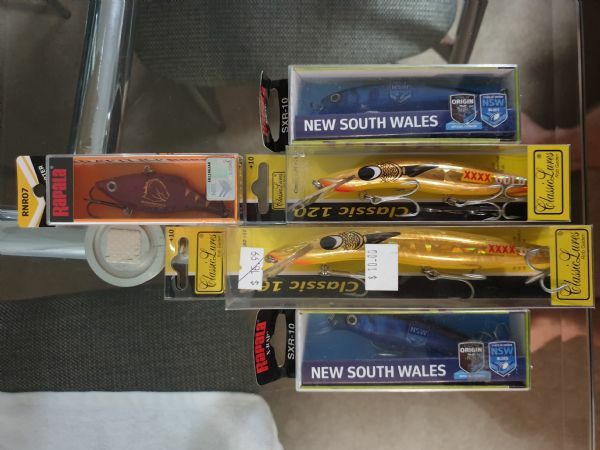 Oh, the lure shop in Cooktown has the football lures for $15. Find them online and contact them. Hahaa I’m in dougy place off ghost gum. I've just read this post and noticed you collect these promo's Billy Stringer. I'll send you a couple from the N.T. along with the other trades by return mail. Nothing special, as far as I can find out they where made by Basser Millard about 15 years ago. Dose not appear to have writing on the bib to indicate its swim depth. 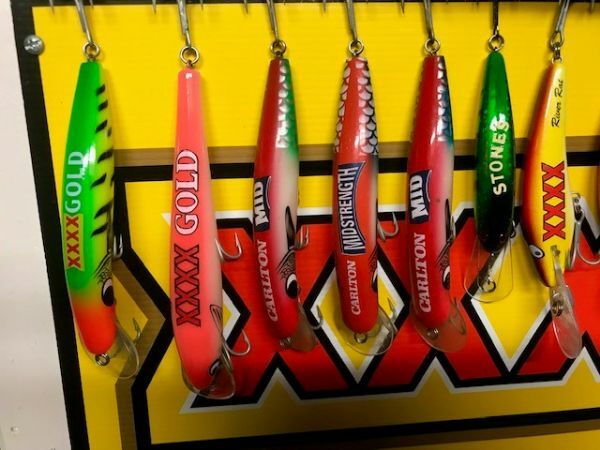 Cool lure Kimo, first of these that I have seen although I have known about them. That 10+ on the back would have to be in feet as it wouldn't reach 10+ metres. Picked up a few while down here in Newcastle. Only Broncos lure left! Looks like your a blues supporter. If u want to sell or trade the broncs lure hit me up. Absolutely not haha. They were in the bargain bin and grabbed them for potential trades. Packaging is marked Smith Ltd, Presumed the Car Dealership. Smiths Saruna is a different lure. 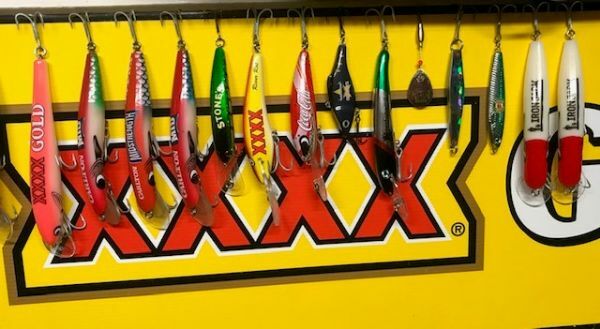 It's just not the original box of the lure is a reidys. All good, Thanks Ducks makes sense.